Our exquisite, one of a kind 10,000 sq. ft. 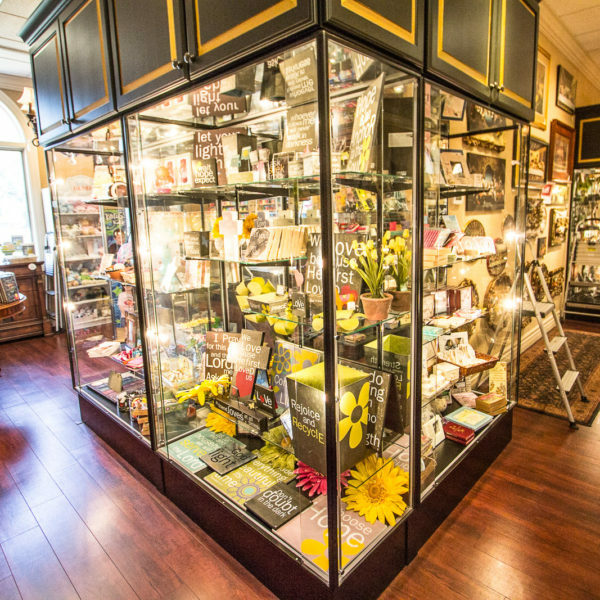 Gift Shoppe is brimming with beautiful displays of unique and exciting gift ideas. In our vast selection you are sure to find that perfect gift for any occasion. Every item has been personally selected! This is truly an extraordinary retail experience that offers items to fit every budget. 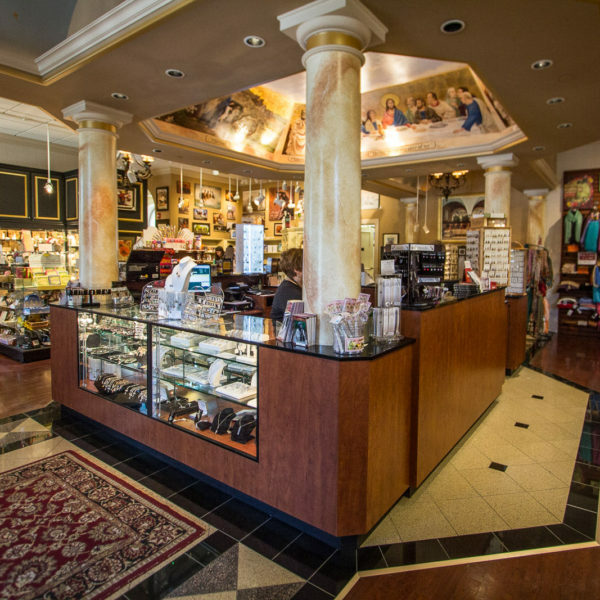 Because of the exceptional shopping experience The Gift Shoppe at The Shrine of Christ’s Passion has become a destination store. Along with our beautifully inspiring religious items we also offer our guests an array of distinctive gifts, a gallery filled with incredible artwork, fine jewelry, accessories, and gifts for all occasions all set in a spacious, relaxing and exquisite atmosphere. The moment our guests walk through our doors they experience that “wow” effect. 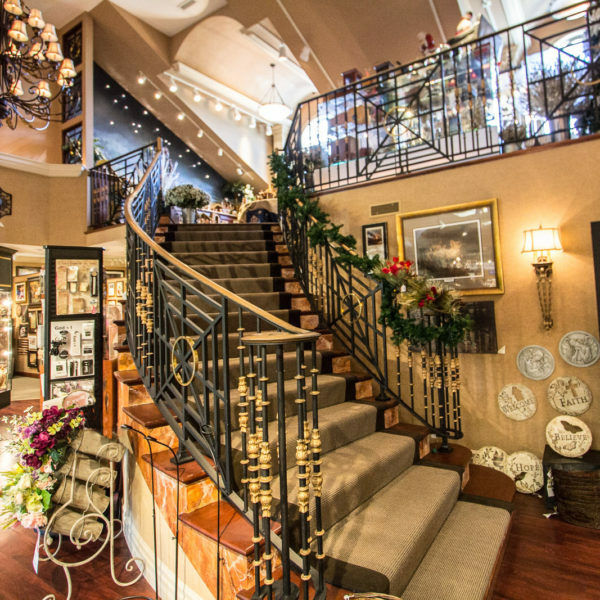 A magnificent winding staircase (lift also available) leads to our mezzanine level where it is Christmas year round. The upstairs area is filled with beautiful Christmas collectibles including an amazing display of nativity sets by Fontaninni. Roman columns and arches accent the showroom which boasts two fireplaces, hand-painted murals on the ceilings, an art gallery and a beautiful library complete with comfortable leather chairs that beckon our guests to sit down, relax and check out our large selection of inspirational books. The exciting design of the store, the inspirational music playing softly and our peaceful atmosphere all add up to an incredible experience. No matter the occasion, you will find the perfect gift for that very special person, a gift with meaning that is sure to touch their heart. While you’re here, take a break in our comfortable Café and relax with a cup of coffee, sip a soft drink or a bottle of water and enjoy a snack. The Gift Shoppe is a 501 (c) (3) not-for-profit and every purchase goes to further the Shrine’s mission , “to provide a prayerful environment where all people can open their hearts to the journey of Christ’s Passion and draw closer to the Lord.” The Shrine is managed by a small staff and a large army of friendly, knowledgeable volunteers who make our guests feel at home. 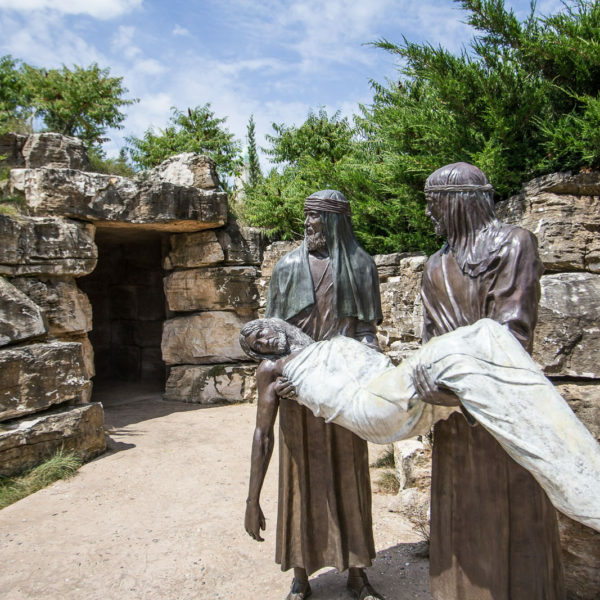 The Shrine of Christ’s Passion is an interactive half-mile winding pathway that begins with the Last Supper and Garden of Gethsemane. 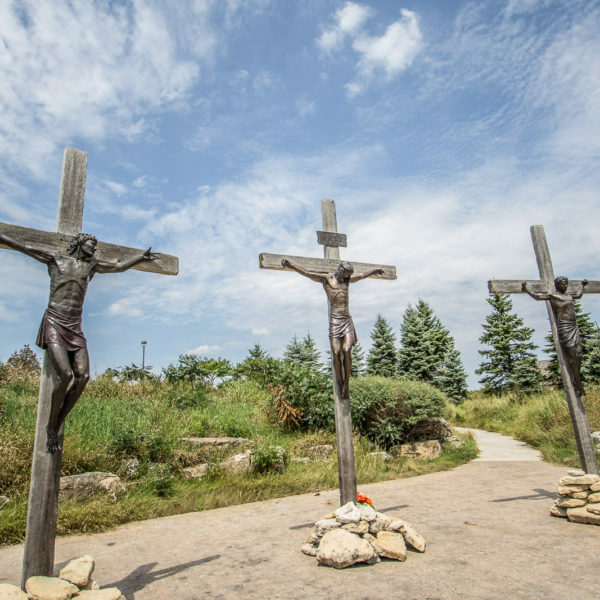 When you step onto the Prayer Trail at The Shrine of Christ’s Passion it is as though you have been transported back 2000 years. 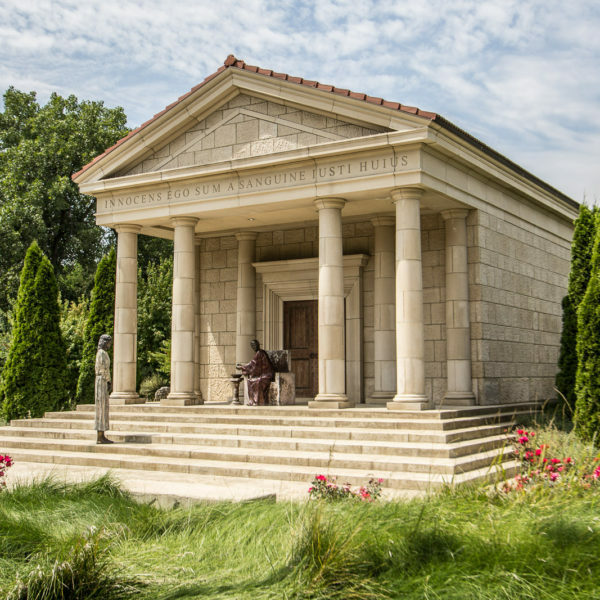 The Shrine is a multimedia destination, located just 35 miles from Chicago and is set on 30 acres; it is the culmination of a 10 year project with a total cost of ten million dollars to create. 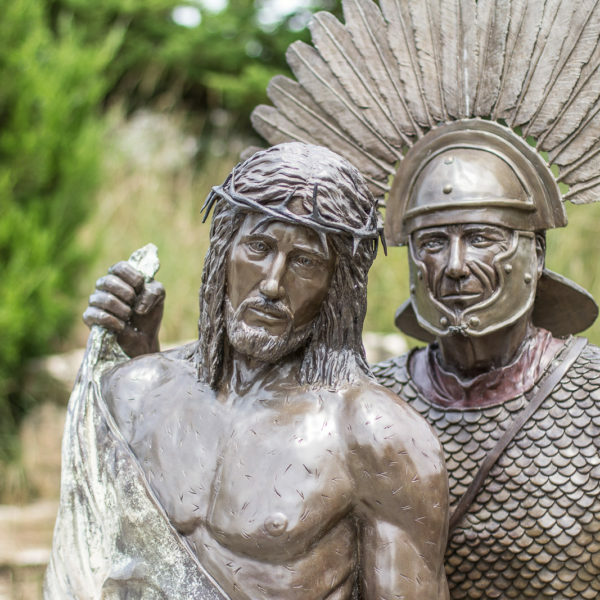 40 life size bronze figures are artfully placed in dramatically landscaped gardens that look and feel like the Holy Land.